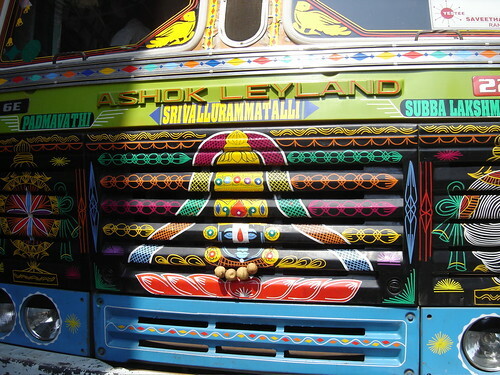 Balaji Truck, originally uploaded by jrambow. Here's one great truck grill. I photographed it in the Georgetown section of Chennai. 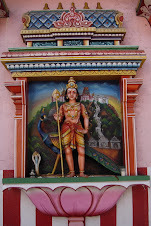 The god is Balqji, also known as Lord Venkateswara. His major temple is in Tirupati, not too far north of Chennai. Tamil Nadu and most of the south are strongholds of his worship, but people from all over the world come there -- it might be the most-visited (and richest) religious site in the world -- most travel guides say it's neck and neck with the Vatican.